Yes, I have a love affair with books. My relationship with them is passionate, compulsive, sometimes even compromising. Books have shaped my life since I’ve been born – naming me Alice, my mother fatally bound me to a destiny of being a day and night dreamer, and I soon started to accept the responsibilities carried by my name, letting myself be won over by an alluring and beguiling world called Wonderland. And once upon a time, when I was 25 (well, I’m 30 now! ), I did find my Wonderland---it actually feels like my Neverland, too---in a country (America) I deeply love and consider the one where I can get lost, and found, and I always feel myself at my best potential. I indeed tumbled into Brooklyn, a borough I fell in love with, a very special spot that takes thousands different shapes and smells thousands different smells. A place where I hope to live again soon. So these are some of the books that have inspired and influenced my love for Brooklyn, and that have somehow contributed to shape my idea of a unique place. 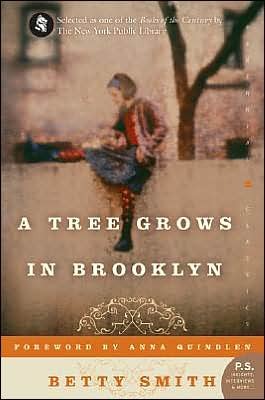 A TREE GROWS IN BROOKLYN. By Betty Smith. LOVED IT BECAUSE it made me want to go back in time, wander around the streets of Williamsburg and meet Francie Nolan, a character I feel deeply attached to. Francie looks for simple pleasures in life, like being allowed to sleep in the front room of her house on Saturday nights, watching the busy streets below. Like her beloved tree, she is ready to burst into bloom. 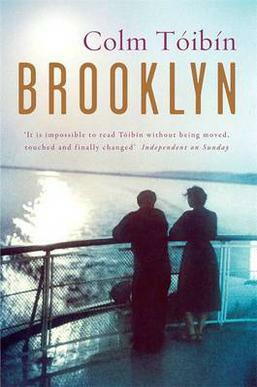 This novel paints a portrait of Brooklyn at the turn of the twentieth century, and it goes far beyond mere description. It made all of my senses came alive and helped me feel what it was like to live in Williamsburg back then. A classic, a must read. THE BROOKLYN FOLLIES. By Paul Auster. LOVED IT BECAUSE I lived in Park Slope, Brooklyn, not far from where this story takes place. 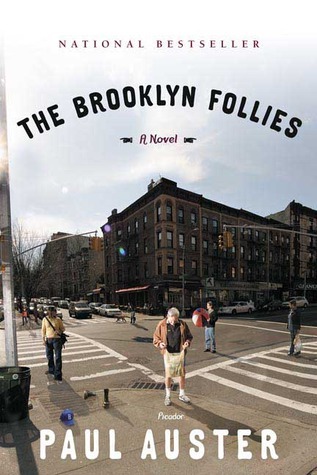 The novel feels and sounds like the borough, and Auster's native Brooklyn is painted with affection. I liked Nathan Glass, a man who retires to Brooklyn to recover from lung cancer (and his divorce). And I liked his project entitled The Book of Human Folly, a chronicle of his unique mishaps, misunderstandings, foibles and foolishness, where he actually begins the process of authoring his own true existence. BROOKLYN. By Colm Tòibìn. LOVED IT BECAUSE this is ultimately an optimistic novel, and on many occasions it actually made me smile. Eilis comes from a small town in Ireland, and in the 50’s she crosses the ocean to find a new life. She has to learn to live in a new culture away from the only home she has ever known. I feel like she could have been more curious about Brooklyn though, and if I ever meet her in Wonderland I’ll tell her! "She had been keeping the thought of home out of her mind, letting it come to her only when she wrote or received letters or when she woke from a dream in which her mother or father or Rose . . . appeared. She thought it strange that the mere sensation of savouring the prospect of something could make her think for a while that it must be the prospect of home." BROOKLYN WAS MINE. Edited by Chris Knutsen and Valerie Steiker. 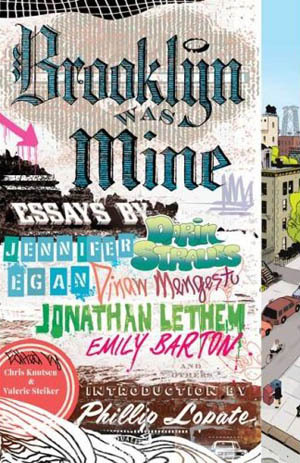 LOVED IT BECAUSE it’s a collection of essays that gives some of my favorite authors (and today’s best writers) an opportunity to pay a tribute to Brooklyn. Its literary history runs deep, and also in recent years the borough has seen a growing concentration of bestselling novelists, memoirists, poets, journalists. Contributors include Emily Barton, Jennifer Egan, Alexandra Styron, Darin Strauss, Jonathan Lethem. Only, I don’t feel Brooklyn WAS mine. It IS mine! And WILL always be mine! Alice runs “alice + wonderland”, her new blog. She is now a copy editor at Rizzoli Publishing, in Milan, and a former Italian lecturer in New York and Washington DC. Alice is passionate about books, travelling, taking pictures, vintage clothing, and of course Brooklyn ❤ Tweets @pluswonderland.